Following feedback and discussions with our Chief Safety Officer, the Race Directors at True Mountain Lakes Sky Ultra have decided that we will add a fixed rope, for the duration of the race, to Pinnacle Ridge. This is not to diminish from the nature of the challenge, nor is it to make it more appealing to those without the ability to cope with exposed mountain terrain. We want to ensure that everyone who has entered the race, enjoys their time on the course and can come away with a huge smile on their face at the finish line. Experienced rock climbers and scramblers will still be able to get plenty of hand on rock action. The rope is not intended to be a climbing aid, but a confidence feature, a hand-rail if you like. Having guided a number of folk over Pinnacle Ridge in recent months, some in glorious sunshine, some in full on winter blizzards, feedback is such that we believe this feature will enhance racer’s experience out on the True Mountain Lakes Sky Ultra course, especially after the thrills of Swirral Edge, Striding Edge and the descent off Nethermost Pike. 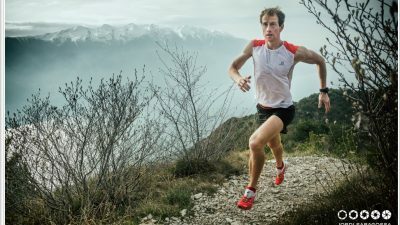 The race directors have also decided to drop the minimum number of completions of races from five completions within three years to one race or mountain run within the last three years. We have had enquiries from people who clearly have the desire to put in the work to be able to complete the course, and this change is to reflect that. 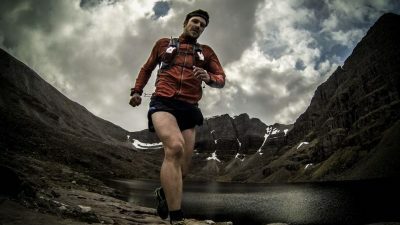 The new criteria is as follows: 'We require you to detail your experience on severe mountain races - we expect aspirant runners to have completed ONE MOUNTAIN RACE OR MOUNTAIN RUN within the last three years, OF A SIMILAR SEVERITY TO LAKES SKY ULTRA with a minimum distance covered of 30miles/50km' Obvious examples of the sort of running experience that will pass through the pre-selection entry process are Lakeland50/100, Keswick Mountain Festival 50km; 3x3000 80km, Vegan3000, Peaks SkyRace. The need to demonstrate your scrambling experience and ability remains in place. However, to give potential applicants an idea as to what would be accepted, crossing ridgelines such as Crib Goch, Striding Edge will be looked upon favourably so long as the entrant can demonstrate to the race directors that they are comfortable and competent on exposed terrain. If you are keen to run in the 2015 edition of the race but unsure of your experience, please contact the race directors on enquiries@lakesskyultra.uk. If you have what it takes, then why delay, enter here! !